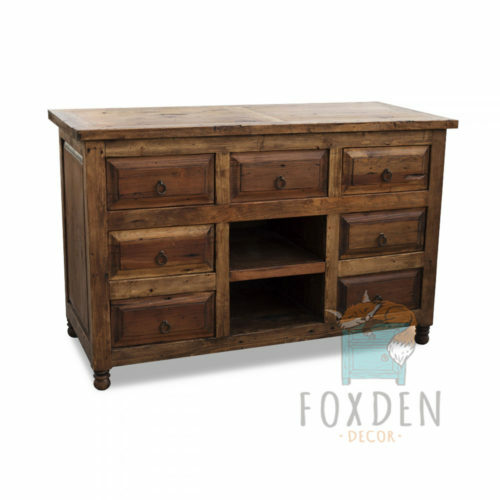 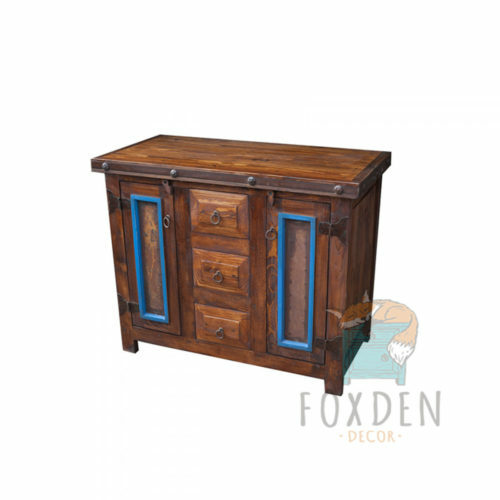 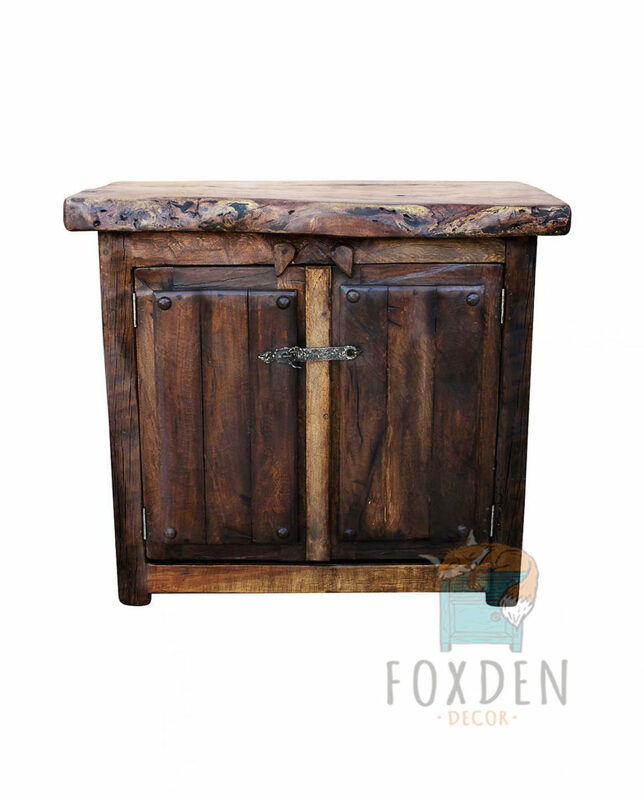 Designed to display the natural beauty of the solid, mesquite wood it was crafted from, this rustic vanity has a unique appeal. 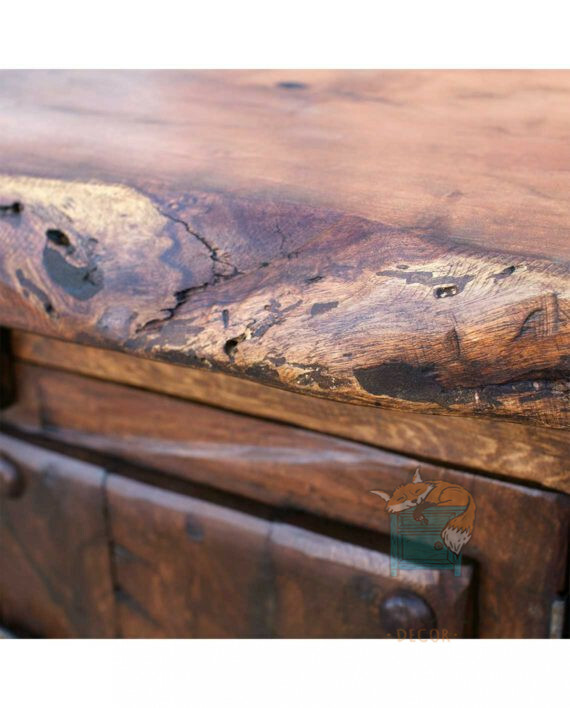 Each individual marking catches the eye and makes this piece different from all the rest. 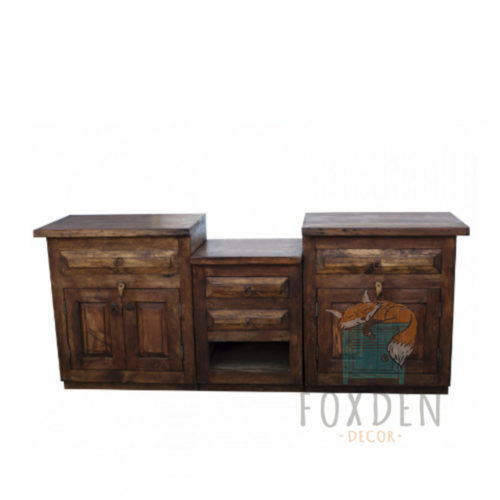 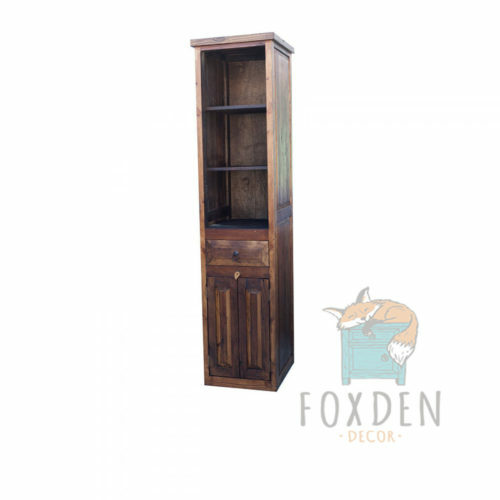 Its sheer size creates an essence of power, yet its natural live edges and wood movement, boast a subtle elegance, creating a perfect balance of strength and beauty. 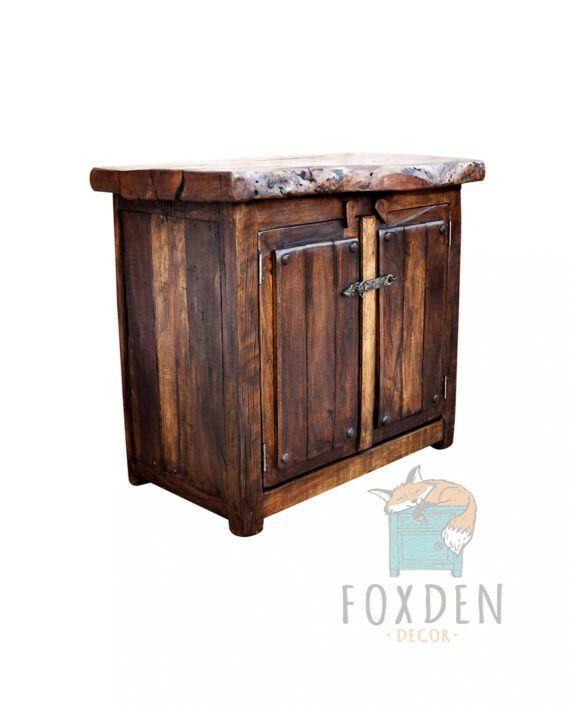 Pieced together with rustic, hand-forged hardware, this vanity has an undeniably simple, yet strong character that will make for a great addition to your home.